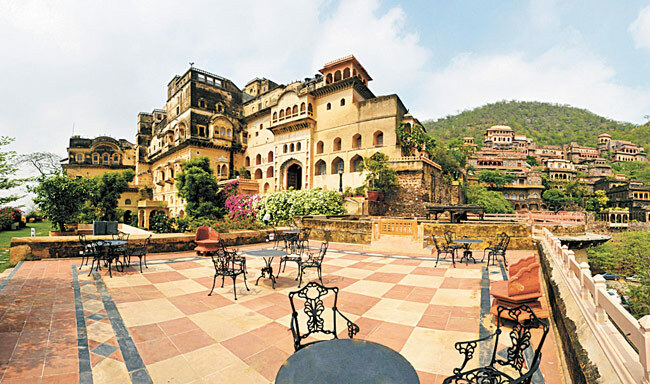 Far away from the land of the rising sun, the fort city of Neemrana houses not one but two Japanese industrial conclaves. A Korean zone is also expected to come up soon. What is ticking for the city? 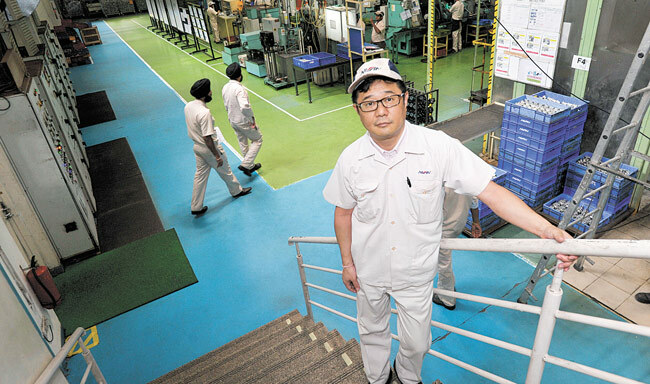 There is complete silence as Teruyoshi Sonobe walks through the doors of his boardroom on the first floor of his factory located in the exclusive Japanese Zone in Neemrana, a two-hour drive from Delhi. The 59-year old is the managing director of Allied JB Friction, a Hitachi Group company and one of the first to have launched its operations from this zone. Allied JB manufactures disk pad, brake shoes and brake linings for a number of Japanese auto makers, including Honda, Toyota, Nissan and Suzuki. Sonobe nods as my photographer colleague and I thank him for ageeing to meet us. “The air is very fresh here. No air pollution. I like it here,” says Sonobe in English with a heavy Japanese accent, breaking his silence. He then looks at his interpreter and says something in Japanese. “Sonobe-San is comparing Neemrana’s air with Guangzhou’s, which is notorious for its poor air quality. He was in Guangzhou for five years,” Mishra translates. Allied JB Friction is now looking to expand the factory. It is a shining example of the bustling 1,167-acre Japanese Industrial Zone at Neemrana that houses 45 other Japanese firms such as Nissin, Mitsui, Nippon, Disking, Mitsubishi, Dykie Colour and others. After interacting with Sonobe and his team and spending time at his factory, we head for Nissin Brake India to meet Naokazu Beppu, its managing director. He has been at Neemrana for the past five years. “Neemrana offers good support services compared to some other states. We don’t have any labour issues. 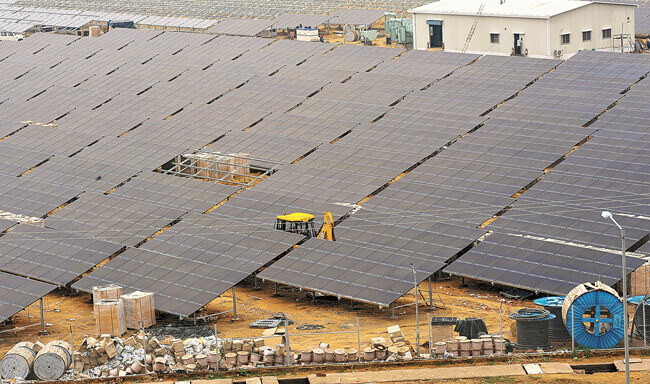 We only hope that power supply will operate at 100 per cent,” he says. When asked what more should the government do to make life better for the Japanese companies, Beppu says he will love to see a metro or a high-speed train link between Gurgaon and Neemrana, adding that commuting consumes three hours of his valuable time, which is an hour more than what it used to take him back home in Japan. “It takes one hour between home and office in Japan. Here, it’s half hour more one way,” says Beppu who’s responsible for 700 people working in the factory. We spend the next 30 minutes in the factory looking around and clicking pictures of an obliging Beppu. For the Rajasthan government, the Japanese zone at Neemrana housing Allied JB Friction, Nissin Brake, Daikin and many other Japanese companies is a matter of pride and achievement. There is everything in and around the zone to make the 200-odd Japanese nationals who work in these 40 companies feel at home. 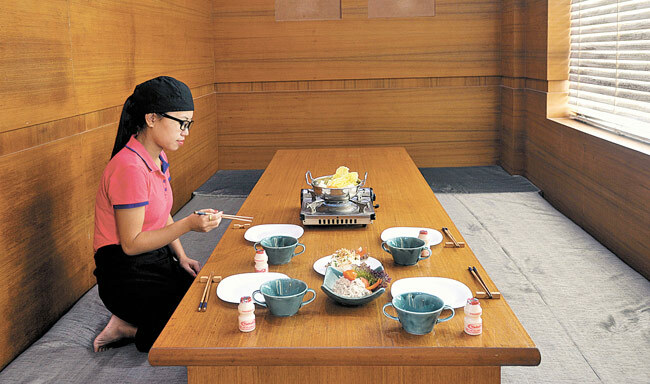 Several restaurants that have sprung in and around Neemrana offer Japanese cuisine. Launched eight years ago, the Japanese Industrial Zone provides employment to 9,100 skilled Indians. Many of the 40 companies in the zone make products for the automotive industry. Inside the zone, 45 lush green plots sit on nearly 600 acres of land surrounded by a maze of road network, a solar power park, power substations, water tanks, residential buildings, hotels, malls as well as a hospital and a school. In the next one year or so, a five-star hotel from the Hilton Group and another belonging to a Japanese hotel chain are scheduled to come up, say officials from the Rajasthan State Industrial Development and Investment Corporation (RIICO), that is entrusted with the maintenance and upkeep of these exclusive industrial zones. A second Japanese zone in Ghiloth, Neemrana as well as a Korean zone, spread over 500 acres each, have been announced. The second Japanese zone will cater to companies engaged in ceramic and electronic systems design and manufacturing. The Rajasthan government, which is expected to spend Rs 100 crore on the development of the second Japanese zone, expects companies to buy plots and begin the construction work in the next six to ten months. “More Japanese companies will invest in Ghiloth after November when the Resurgent Rajasthan Summit is scheduled in Jaipur,” says a RIICO official. Work on over 6,000 housing units is nearing completion in the first zone and they will be sold to the Japanese and Indian workforce in both the Japanese zones. Some Japanese mid-level executives have already moved into service apartments and hotels owned by Japanese companies. Four Japanese hotels are already operational with around 150 executives as their full-time guests. “More capacity is planned to ensure that expats from Japan and Korea feel at home when they live and work here. Results will be visible by next year,” adds the RIICO official. “Easy connectivity and access to Delhi NCR markets, availability of skilled labour as well as a peaceful environment with zero law and order problems are some of the reasons why Japanese companies like working here,” says Veenu Gupta, managing director of RIICO, who is also principal secretary for industries in the Rajasthan government. Besides, the state government has reduced the central sales tax for companies operating in these zones from 2 per cent to 0.25 per cent as the products manufactured by them are supplied outside the state. “The single-window clearance mechanism set up by the state government ensures that various approvals are granted within eight to 180 days,” says Gupta. Most Japanese units became operational within six to eight months of getting the approvals. Further, fortnightly meetings are held between RIICO officials and these companies in order to solve any logistical, administrative or labour-related issues. “Providing 24-hour electricity, water and a network of roads in the second Japanese zone is top priority for us,” says an official. The state currently ensures electricity supply to the Japanese Industrial Zone at 98 per cent efficiency and efforts are on to make it uninterrupted all through the year. Pursuant to that goal, approval has been granted for two more grid sub stations (GSS) of 132 KV and 33 KV for the zone, in addition to the two existing GSS of 220 kilovolt (KV) and 33 KV, says Sudhir Lohiya, senior regional manager, RIICO. Last but not the least is the living amenities that the industrial zone provides, so that the expats can live and work comfortably. Baring a dozen MDs and CEOs who stay in Gurgaon 90 km away, the rest of the Japanese executives stay in hotels and service apartments within Neemrana. Allied JB’s Sonobe stays in a hotel close to his manufacturing unit as do other 50-60 middle and senior management executives. “We get Japanese food here,” says Takayuki Shirai, manager, Operations, Allied JB. He loves Teppan Gyoza (chicken dumplings) and Tonpe Iyaki (Japanese omelette) served at The Kuuraku Restaurant. There are places like Hotel Aju Palace, Days Hotel and Hirohama Hotel that only cater to Japanese executives. “From buffet breakfast to dinner, our entire menu is for the Japanese guests,” says Akon, restaurant manager in one of three Aju hotels in the region. RIICO officials say by the time the two new zones become operational, Neemrana will have 10 hotels exclusively for the expats. And we can go on saying say to the Japanese companies: “Indo e nokangei” (Welcome to India).